Back in the good ol' days, there were fun fairs and circuses to keep us entertained especially during the holidays. Nowadays, there's aplenty of theme parks dominating the younger generation these days. In fact, if you didn't already know, by year 2020; An estimate of 21 theme parks will be developed within Malaysia. 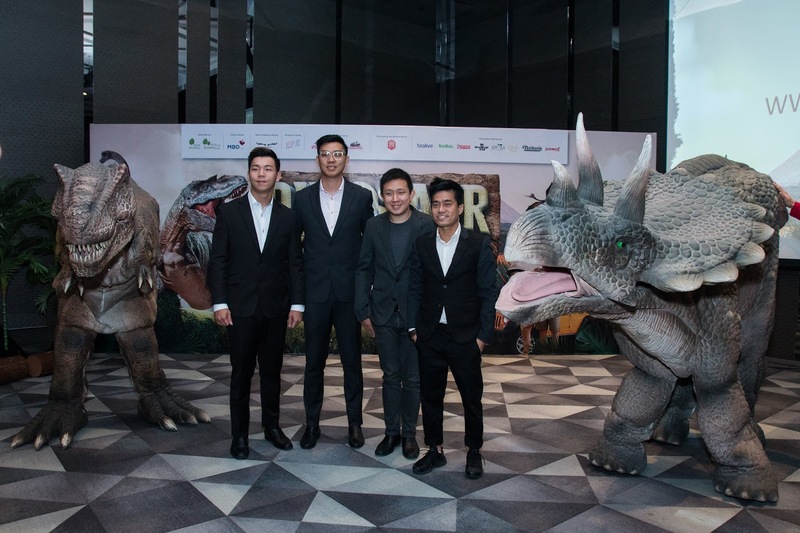 There's already a number of theme parks in Malaysia like water parks, indoor & outdoor amusement park, edutainment square, copyright-based parks, a new trend, lifestyle & activity-based parks and now the latest Dinosaur themed mobile pop-up parks that is gaining traction across South East Asia. 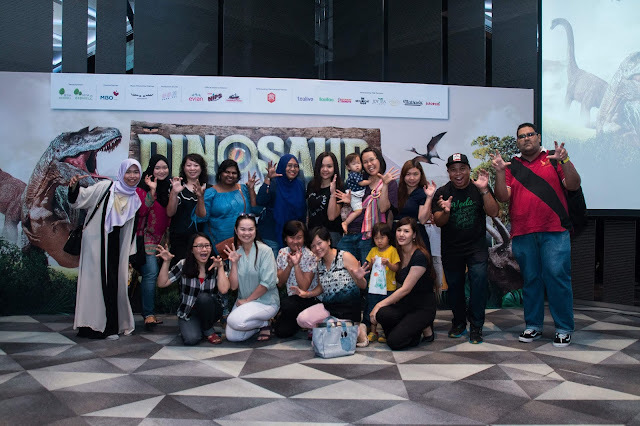 Themepaktu (pronounced as theme-park-to-you) will be bringing a mobile Dino themed park known as "Dinosaur Kingdom" that will be available for you and your family at SetiaEcohill and Setia Ecohill2 in Semenyih. There will be more than 25 attractions in Dinosaur Kingdom where both parent and child can enjoy together. The main attraction is the 40 minutes live show that is not to be missed! That's not all! Kids get to enjoy climbing Pterosaurs' nest, riding a Dinosaur Bumper Boat, Raptor's Maze, 5D Cinema, Racing Raptors, Drift Island and I'm especially looking forward to the Baby Dinosaur Trail where your kids get to ride the Dinosaurs as the Dinosaurs WALK as they are not on wheels (like riding a horse but how often do we get to ride a Dinosaur!). Their Dinosaur's are of amazing quality, waterproof and surreal! There's even 6 to 7 types of carnival games/rides for the adults and if you're feeling youthful like a teenager there's up to 15 types of carnival games/rides that you can enjoy! So rest assured that there's up to 25 attractions and maybe more for the whole family to enjoy together! On average you and your family may spend up to 3 hrs of family-fun time together and majority are dry rides except for the Dinosaur Bumper Boat which is on water; so if your kids are super active, then bring extra clothes just incase. There will be up to 20 and maybe some repeated Dinosaur species all around the Theme Park. 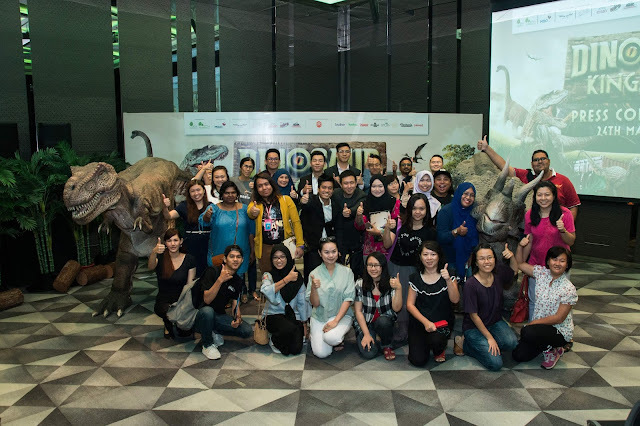 Dinosaur Kingdom opens on 14th June until 8th July 2018, from 12pm to 10.30pm daily; and tickets are available at Themepaktu Website and via Themepaktu Mobile App. If you download the app that will only be available next week, you get to enjoy extra special stuffs from Themepaktu, such as; Event site map, Showtime Schedules, Dinosaur Egg Hunt Adventures, Free Tokens and more free stuffs you can win when you use the app! FREE entry for children below 3 years old. FREE extra Evian Mineral Water for senior citizens above 65 years old. If you'd like FREE TICKETS & FREE BUS ride from school to Dinosaur Kingdom, join this contest! You even get a chance to win cash prizes! For more info head over to THEMEPAKTU now! Show some love this Ramadhan and Raya 2018 where you are also given the opportunity to sponsor (RM80) for a child from a local orphanage home to Dinosaur Kingdom! And that's not all! Every child you sponsor (RM80 a child), Themepaktu will sponsor another child for every child sponsored, it's like sponsoring 2 child's sekaligoose! With thanks to Themepaktu, Dunkin Donuts & Rotary Club for this CSR initiative! Ps. Where will they go after 8th July 2018? Stay tuned with me for more info as the venue will vary by sponsors and space! It may even be coming to KL soon! howmuch for the 5D cinema? Hi morning Ms. Sebrinah, here is Mr.Leong from PJ. Check with you is it RM100 for 4 persons entrance is included child below 4 years old? Is it can join all programmes?